For many George Mason University students, the prospect of writing a novel is alluring: the thrill of coming up with a story and the satisfaction of writing the final sentence. Problem is, only a small fraction of students actually write their novel. That’s where November and National Novel Writing Month come in. NaNoWriMo, as it is otherwise known, is a program helping prospective novel writers band together to accomplish this dream. 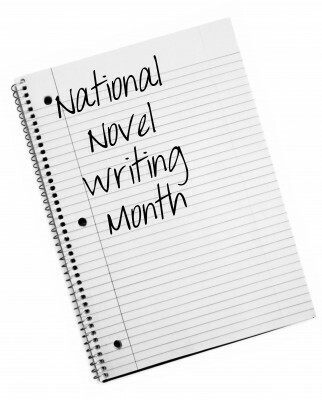 The goal for each individual writer is a whopping 50,000 words over the course of the month. If that seems like the sojourn of a lifetime, fear not. Participants not only have the official site for the program, which is filled with helpful tips and a friendly support forum, but Mason is throwing their full support behind any students willing to accept the challenge. The English department is sponsoring write-ins where prospective novelists can come work on their novels in a quiet environment. Write-ins will take place Mondays all month from 4:30 to 6 p.m. in Fenwick Library and Thursdays from 10:30 a.m. to noon in Room 447 of Robinson Hall A. Snacks will be provided and prizes will be awarded at the end of the month to successful participants. The faculty says the point is not to strive for a perfect final draft over the course of the month. Instead, the idea is quantity over quality – much like a month-long free write. The goal should be to achieve the lofty 50,000 word count and then later to complete a final project from there. Pacing can be key for those who get burned out easily, but many will find when the ideas start coming, the word count will pile up. More information can be found at www.NaNoWriMo.org, the English department’s site at english.gmu.edu/novel or by contacting Laura Scott at lscott@gmu.edu.